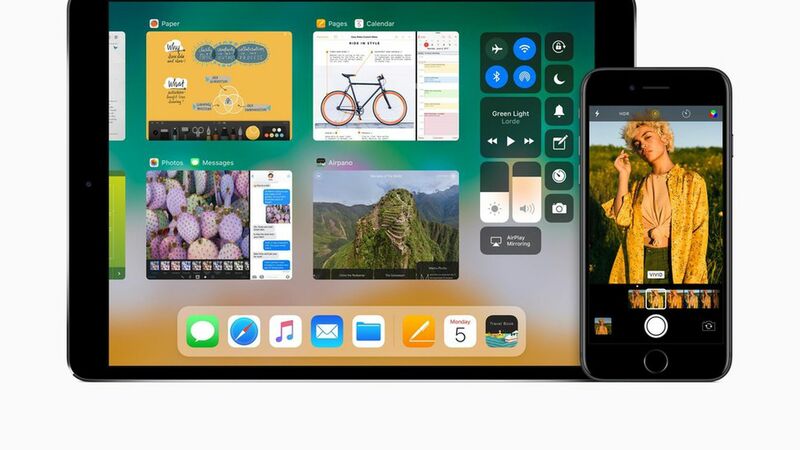 Apple on Monday is releasing a public beta of iOS 11, the update to the iPhone/iPad operating system it previewed earlier this month. Our take: Admittedly, we've only been testing the software for a couple days on a couple of devices, but iOS 11 seems stable enough for everyday use (though as with any beta software, people are cautioned not to use it on their primary device.) We've been using it on an iPhone 7 and it has been crash-free and all our apps have worked fine. The biggest changes, though, are for the iPad. There iOS 11 makes it far easier to move between apps and do the kind of things that historically have been done on a computer, and in some cases even do those tasks more easily. It was a snap, for example, to sign an AirBnB contract and e-mail it back without having to print or scan anything. One can also more easily navigate multiple open windows, thanks to a new dock. The ability to drag-and-drop a photo or other item from one app to another is also a welcome and natural improvement, though only Apple's apps support it for now. And with the new iPad Pro, it is possible to have three different apps open at the same time (and even watch a video in a small fourth window.) As we said in our review of the iPad Pro, iOS 11 is really the software the machine was designed to be running. What's not yet there in this beta: Augmented reality apps taking advantage of ARKit, the ability to transfer money to a friend using Apple Pay in messages, support for third-party storage sources like box and dropbox in Files. What you need: The iOS 11 beta (and final version) works on an iPhone 5s or later, as well as all iPad Air and iPad Pro models, the 5th generation iPad, the iPad mini 2 and later and the 6th generation iPod touch.